Even cadets at the Citadel need to relax every once and a while, and there's no better place to escape the everyday drills than at neighboring Hampton Park. This historic park – one of the oldest in the city – boasts 60 acres of natural beauty on the western edges of Charleston's downtown, with plenty of features and amenities to keep any outdoor lover perfectly entertained. An ideal locale for a pick-up game of baseball, an afternoon picnic, or just a quiet stroll amidst the shaded gazebo and southern gardens, Hampton Park is sure to entice anyone into a stress-free, Lowcountry state of mind. Like many of Charleston's best loved parks and sites, Hampton Park wasn't always a go-to destination for peace and quiet. 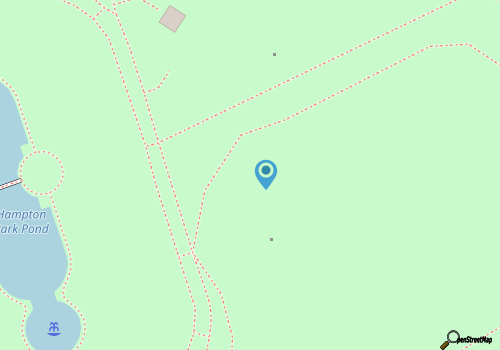 In the mid-1700s the majority of the land was part of a plantation owned by local John Gibbes, a site which was known locally as "The Orange Grove Plantation," or simply, "The Grove." In the 1830s, a portion of Gibbes' plantation was sold to the South Carolina Jockey Club, and shortly thereafter, became the site for an annual February horse race which attracted thousands of spectators from Charleston and beyond. Intricate race stands were constructed to hold the crowds in comfort, and today the current Murray Drive, which winds around the park, almost exactly traces the track of where this racecourse once stood. Like the majority of Charleston itself, the landscape of the Grove and the Jockey Club's racetrack changed with the onset of the Civil War, and by the end of the conflict, the current park had a new purpose as a prisoner-of-war camp held by the Confederates. More than 200 Union Soldiers would die at Hampton park, and subsequently be buried in a mass grave at the site. After the Civil War ended, the Jockey Club had abandoned the annual race, and after the club's disbanding in 1899, the property was disbursed to the Charleston Library Society in 1900. Brighter days were ahead for Hampton Park, however, as shortly thereafter, Charleston hosted a large regional trade exposition on the site, longwindedly called the "South Carolina Inter-State and West Indian Exposition." Opening on December 1, 1901, nearly 680,000 people visited the exposition during its two year run, including President Theodore Roosevelt in April, 1902. Despite this promising turnout, the trade exposition was unable to financially continue, and it was shut down for good in May, 1902. Shortly after the exposition ended, and the city of Charleston acquired a parcel of the original trade show grounds, Hampton Park would find its permanent role in the town as one of the largest and longest-running public parks. Designed by a landscaping firm in Boston, the park was named after a Confederate General, Wade Hampton II, who would rise to fame after the Civil War as the governor of South Carolina. 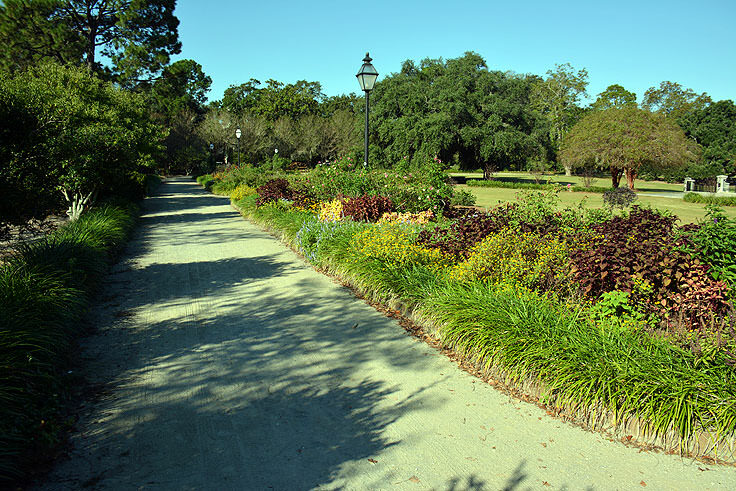 After opening in 1906, the park quickly became immensely popular with Charleston citizens and would even, for a short period of time during the mid-20th century, be home to the local zoo. Like many of the park's pet projects over the past several centuries, however, the zoo would eventually fail, and it wasn't until a massive renovation project in the early-1980s that the park would be brought back to a natural and altogether more serene state. Today, relics of the park's busier days can still be spotted, like a boarded-up but perfectly pristine concession stand, and markers and monuments are in place to direct new visitors to some of the site's most notable roles in history. 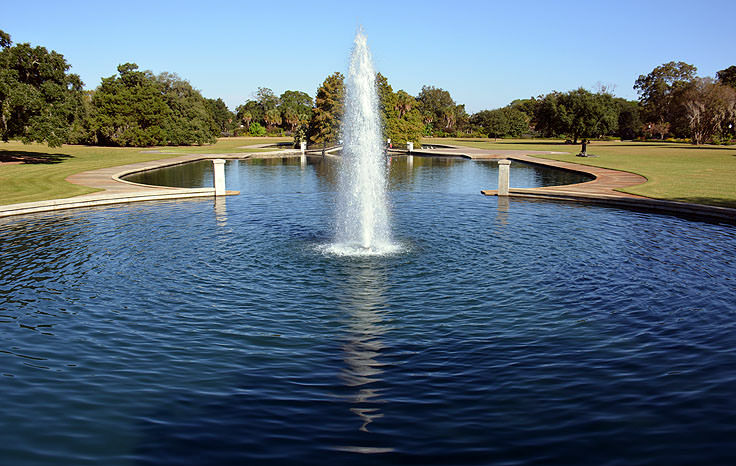 Despite these landmarks, however, the park is best-known as a wide open peaceful retreat close to the heart of the city, with plenty of jogging, walking and bike trails, and lots of room to spread out. The park features a playground for young visitors, picnic tables for an outdoor snack, baseball and softball fields, as well as drinking water and restrooms for long park visits. The gardens in the park, complete with shaded gazebos and benches, are especially popular, and feature seasonal blooms of southern staples like roses, camellias, Crepe Myrtles and wild-growing hedges of azaleas. 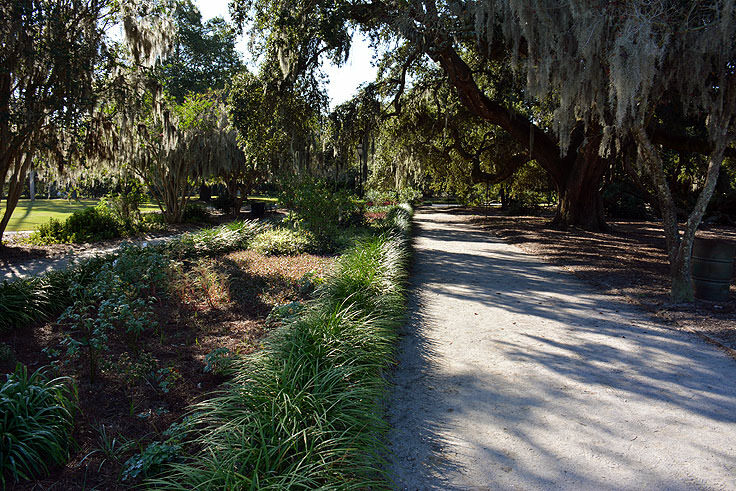 Spanish moss drips off of ancient live oaks, which in turn provide plenty of shade for lounging patrons, and the park is tied together by an expansive centrally located pond, bordered by concrete walkways, and featuring a submerged fountain and pedestrian foot bridge. 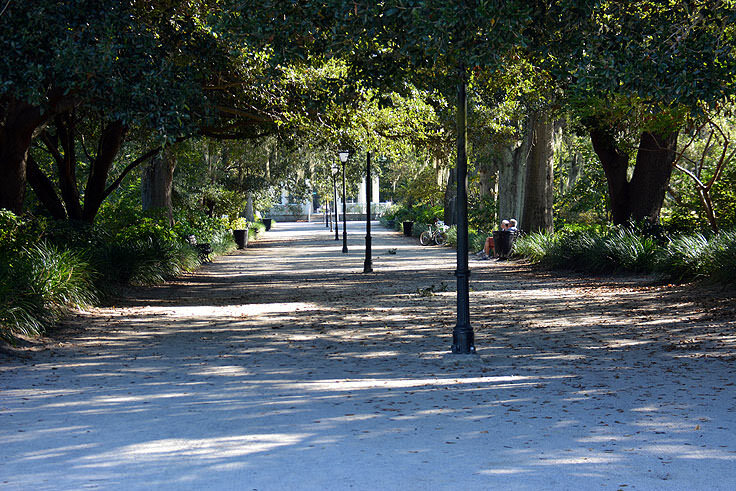 While a collection of residential homes and the Citadel can be spotted in the distance, the majority of the park is fairly removed from the outside distractions of downtown Charleston, and as such, is one of the most peaceful destinations in the city. Public parking is located on Mary Murray Drive, although Citadel visitors will find the park easy to access on foot as well. The Hampton Park dog park is located nearby too, on Rutledge Avenue, and is a great place for well-behaved canines to enjoy a little time outdoors of their own, soaking up the sunshine and meeting new furry friends. The park is open every day during daylight hours, and parking and admission is free. The park's gardens and gazebos are also very popular with the Charleston wedding crowd, and can be reserved for ceremonies, receptions, and special events with advance notice. For more information, contact the City of Charleston's Parks and Rec Department at 843-724-7321. Considering that for centuries Hampton Park was one of the most notable parcels of land in town, for better and for worse, the local scene at this site has certainly quieted down. But despite the fact that the trade expos, zoos, and annual races have left the premises decades ago, the park is still one of the town's locally favorite destinations for some much needed R&R. 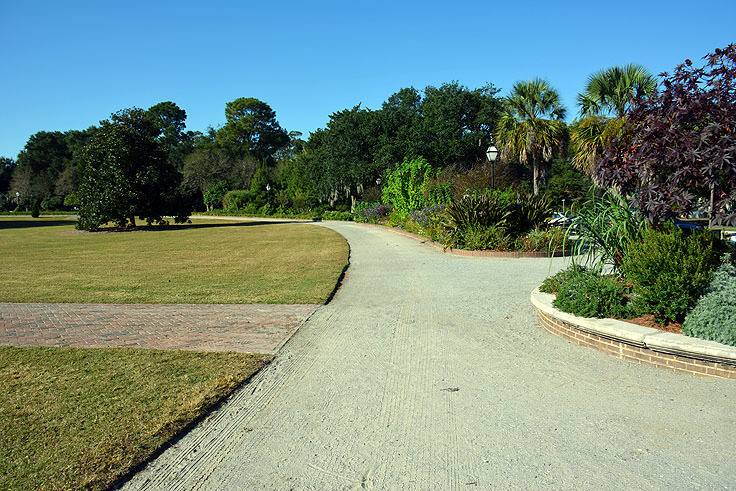 Completely scenic, with few distractions outside of the occasional brightly blooming rose bush or visiting squirrel, the 60 acre park is a perfect spot for any Charleston newcomer to enjoy the scenery, and dive right into a vacation state of mind.